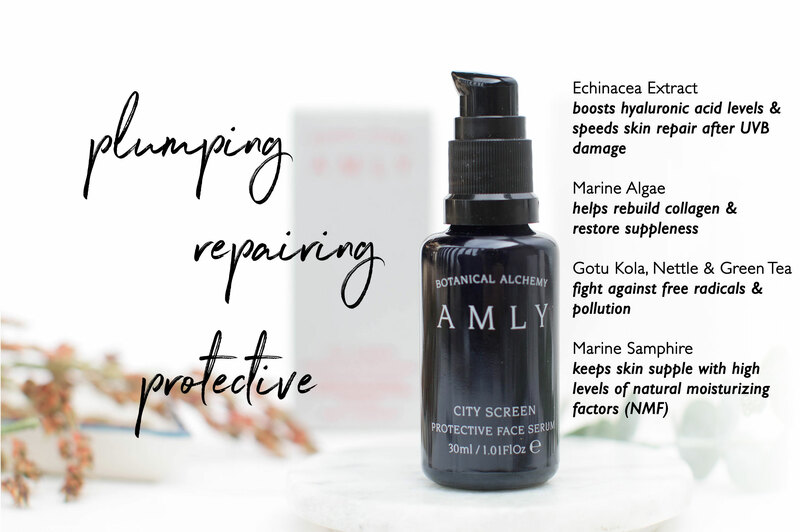 Tips + Tricks // AMLY Botanica.. Founder 5 with Kerry & Elisa o..
As a classic serum – layer with any moisturizer by applying first both day & night. Loaded with bio-actives, this multitasker is not only detoxifying & balancing, it boosts both hyaluronic & collagen production. 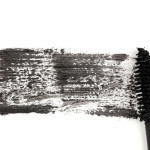 As a makeup primer – apply and let sink in before applying makeup. As a blemish buster – it helps to efficiently minimize and heal spots or blemishes due to its antibacterial/anti inflammatory properties. As a soothing treatment – the cooling sensation soothes irritated skin thanks to aloe vera leaf and cucumber fruit extracts. 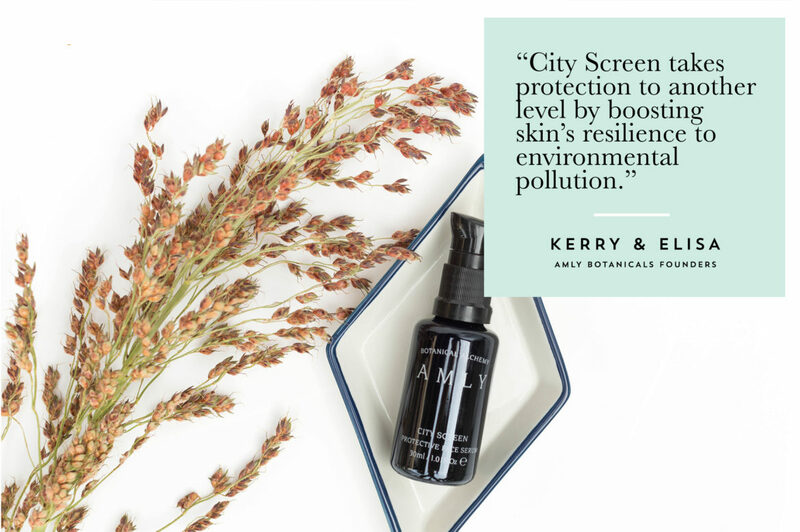 With City Screen we wanted to create a natural, yet highly effective serum to help protect, strengthen & boost skin’s resilience to urban pollution, whilst also feel so light that it could be layered under other products if desired. 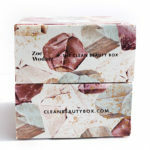 Its ‘clean’ scent makes it suitable for both men & women. 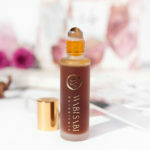 We launched our trio of serums, including City Screen in May this year. The spring water used in the mist comes from beneath our organic wildflower meadow in Sussex. With both products, our targeted botanical extracts, essential oils and hydrosols are hand blended. The hydrosols are produced with hydro distillation, a traditional process which extracts natural oils from the flower or bark into water. This method as opposed to steam distillation ensures all the essential properties of the plant/flower remain intact and we capture the whole essence and the holistic benefits they bestow. The formula then has to be succussed (shaken vigorously) to distribute the energy of the hydrosols through the water, then rested. This is repeated several times to allow ingredients to reach the optimum level of synergy.